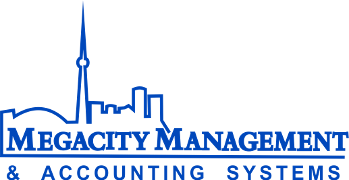 Megacity Management & Accounting Systems is a full-service bookkeeping and tax preparation firm located in Toronto. Established in 1998, the firm is committed to providing hands-on service to help you succeed in business. We are proud to help clients keep money in their pockets by providing year-round bookkeeping and tax services! Our firm specializes in set-up and maintenance of your business' books and records. We also prepare individual income taxes and business corporate income taxes, GST, PST and Payroll remittances. At Megacity Tax, we treat you right, regardless of how simple or complicated your business or individual needs are. We work with you (and not for you) to find the best solutions, since we value our clients' successes as our own. Megacity Management & Tax Systems offers training in business skills workshops and attends regular tax practitioners' seminars with Canada Revenue Agency officials. We see training as an important function of our business. We provide training in bookkeeping, income taxes, budgeting, and sales forecasting to individuals and groups. Contact us and take advantage of our professional services. For more tax information, see the Canada Revenue Agency and Tax Tips websites.